'Divided by Race, United in War and Peace is a warm and life-affirming film, directed by Marc Wadsworth. 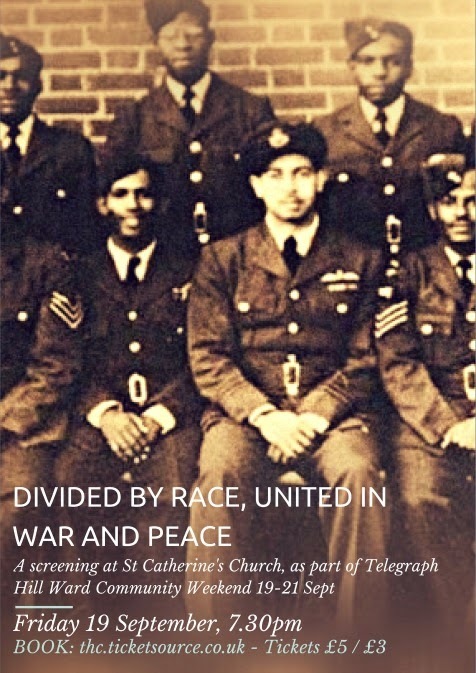 The film examines race relations in Britain during and after the Second World War and is a timely reminder of the contribution by overseas troops to the war effort. Telegraph Hill Ward Community Weekend runs from Sept 19-21 and the film will be screened at St Catherine’s Church, Pepys Road, SE14 5TY as part of the weekend of events. At the core of Divided by Race, United in War and Peace are the testimonies of 13 surviving veterans, West Indian and African young men and women who volunteered to join the war effort and soon afterwards returned to live in Britain. They risked their lives to serve under the British flag in times of war, then faced a second battle – their right to remain under that flag, as British citizens. Until now their stories have not been properly heard'.